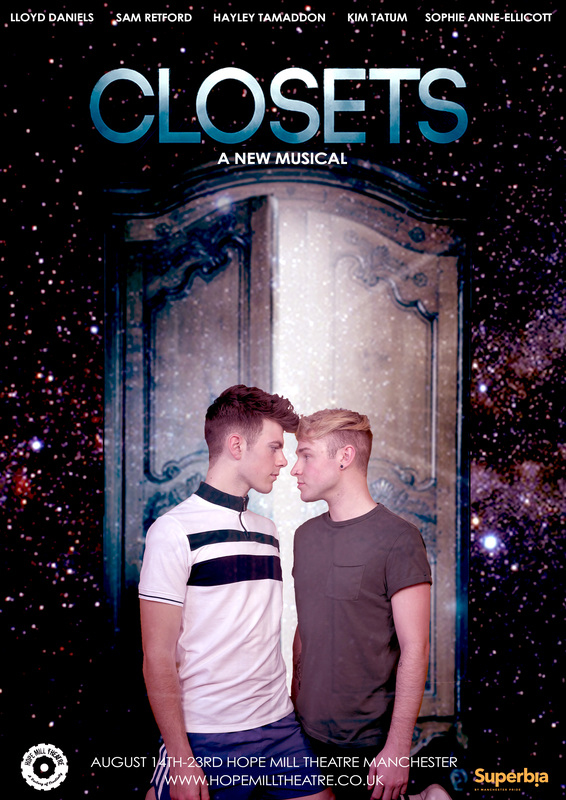 A new original musical extravaganza starring Lloyd Daniels ( X-Factor, Joseph National Tour) and Sam Retford (Ackley Bridge) It’s 1988, 16 year old Henry is struggling with his sexuality, identity and daily battles with his mother. He goes inside his Closet and unexpectedly time travels to 2018 and meets 16 year old Ben living in his bedroom dealing with similar issues today. Ben and Henry decide to run away from their lives by time travelling in the Closet, taking them on adventures to New York’s Stonewall bar in 1969 and beyond. But how long can they run from their lives before their time zones catch up with them? Featuring uplifting pop musical numbers and contemporary ballads this show is guaranteed to warm everyones soul. Recommended age 12 + features some strong language and sexual references.